What’s the best camera choice for live streaming? As you might imagine, that’s not a simple question. Live streaming cameras vary widely in quality, price, and the details of how they connect to your system. Some are more flexible than others, some are more user-friendly than others, some provide a higher quality image than others. As with so many other questions involved in how to broadcast live, much depends on exactly what you want to do. Do you want to simply stream live video on your website via your online video platform? Have plans to do professional live streaming in a business context? Do you have other live streaming goals and needs in mind? These will also influence your choices. Let’s dive into the topic of live streaming cameras. There are several different kinds of camera for live streaming. Let’s start with the most basic and inexpensive streaming solutions, and then work our way up. Webcams are cameras that are connected to a computer. These days, they’re built into most computers. However, some are external and connect to the computer via USB. A webcam doesn’t have its own internet connection, so a computer is required to connect to a network and process the image into a format suitable for streaming. The advantages of webcams are simplicity of use and price. You can find a decent-quality webcam for around $100. The controls are simple, the direct connection to the computer means you don’t have to worry about power sources, and no capture card is required. Using a webcam for live streaming is very straightforward. On the other hand, webcams don’t generally deliver high image quality. Most come with built-in microphones, but the sound quality is not high. You’ll need a separate mic and sound channel if you want professional sound quality. 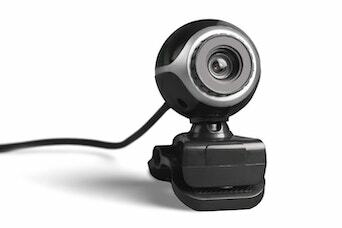 Most webcams are very simple in their controls, which is as much a liability as an asset. Typically, they lack zoom capability, variable focus, and any ability to customize the image. Whether any of that is important depends on what you are trying to do. If you just need to embed video of a conference or lecture to provide information to viewers, webcams might provide all the power you need. 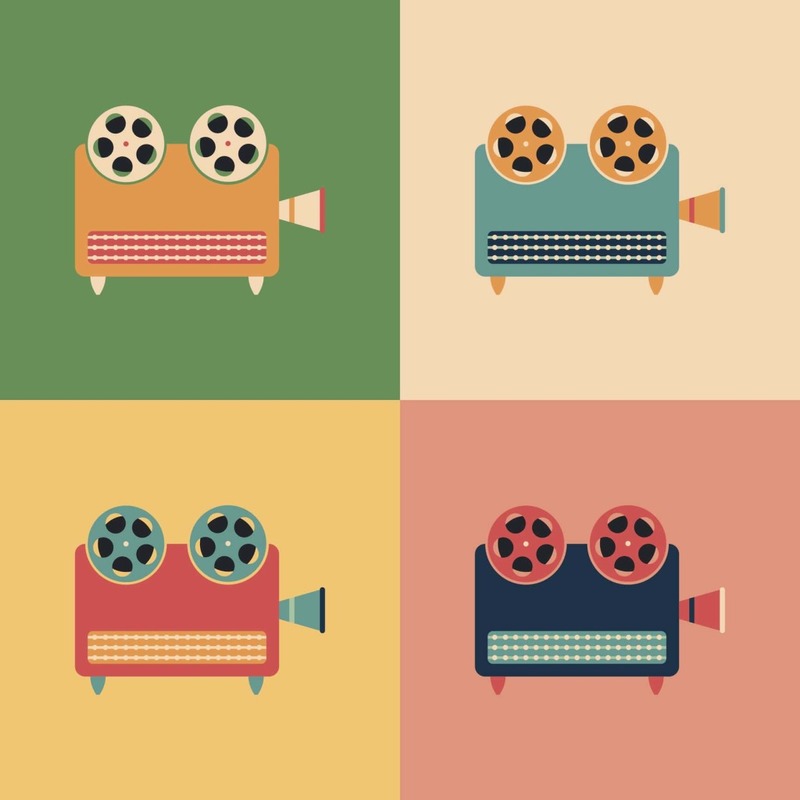 For serious professional quality video, though, you should consider other options. If you need a recommendation, the Logitech C922x Pro Stream is generally regarded as one of the best webcams of 2019. It costs less than $75. Today, smartphones are ubiquitous. With built-in video cameras, microphones, internet connections, and the ability to run apps, a smartphone can be an all-in-one device for live streaming. It’s possible to get a decent stream quality from a smartphone. That’s especially true of those phones with the highest image quality. However, many of the same drawbacks experienced with webcams apply here. Sound quality is generally poor. The camera is not portable. Image quality suffers in low-light conditions. Zoom and other image customizations are generally absent or basic. In general, a smartphone is fine for basic consumer-level streaming. But professionals will be better off with an IP camera or dedicated professional-grade camera. If you need a smartphone recommendation, most reviews put the Google Pixel 3 as the best camera phone on the market (as of spring 2019). An IP camera has an IP address and its own ability to link to the Internet separately from a computer. Using IP cameras is a little more complicated than using webcams. But they are much more versatile. Because they connect via Ethernet, they can be positioned anywhere you need them. Because many IP cameras include power over ethernet (PoE), you can run them 24/7. This combination makes them ideal for many uses. IP cameras are common for 24/7 streaming, permanent installation in churches or conference rooms, etc. 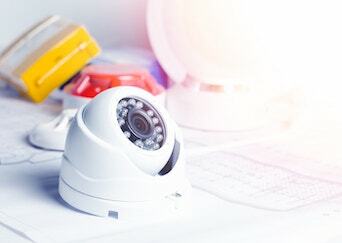 Using IP cameras with streaming video is a little more complicated than using webcams. It requires an encoder, because the protocol most IP cameras use isn’t suitable for live streaming. You’re also looking at a pricier camera. Costs vary quite a bit, but a good IP camera is likely to run at least $800. An IP camera is a good choice of live streaming camera if you need a lot of flexibility in where the camera is located relative to the computer processing the image. Provided the camera has access to the Internet over a wireless network, it can be located literally anywhere. If you need an IP camera recommendation, I recommend checking out the PTZOptics product line. The best quality option for live streaming cameras is to use a professional-quality HDMI or SDI camera. Professional cameras offer more flexibility and power than any of the cheaper options. You can change and upgrade lenses, use zoom and wide angle focus, and do all of the things you’d expect from a professional camera. This includes the ability to use external monitors, hot swap storage and batteries, use filters, and so on. Another major advantage is support for XLR audio (the professional standard). While not as portable as a webcam or IP camera, they’re fairly easy to transport and use on site. For more polished productions, a high-quality camera is necessary to achieve real professional quality video. Of course, versatility and ease of use generally don’t go together. Professional video cameras aren’t as simple to use as a webcam. If you don’t already have experience with them, you may face a learning curve. This option requires a “capture device” to facilitate using the camera for live streaming. A capture device is either installed inside a desktop computer or connected via USB. It converts the video signal from your cameras into a form that can be used for live streaming. It’s also important to ensure that your capture card will work with your camera’s input. Check the particulars of the card and accompanying software before buying. Aside from this, the only downside to professional-grade cameras is the cost. A good quality HDMI camera will run you at least $600 – $700, while the price for a top of the line HD-SDI camera runs into the thousands. One of the best selling professional-grade HDMI cameras currently is the JVC GY-HM170UA. It costs around $2,000. For SDI, the top selling camera at the moment is the Sony PXW-Z190, at just under $4,000. Alright, let’s cut right to the chase. As of last updating (March 2019), here are our recommended cameras for live streaming. Recommending specific equipment is always hard. Depending on your specific needs, a camera that’s wonderful for another user may be unacceptable to you. Hopefully this post has introduced you to the range of cameras on the market today. As with everything else involved in how to broadcast live, knowing your audience and the purpose of your production is crucial to making this decision. Whether you plan to stream live video on your website, do live streaming of sports or business events, or anything else, there’s a camera out there for you! For regular live streaming tips and exclusive offers, you can also join our LinkedIn group. Not yet a DaCast client and ready to give our platform a try? Click the button below to sign up for our 30-day free trial (no credit card required). You can test out all our great features for yourself! As always, thanks for reading and good luck with your broadcasts. Next to worthless since there is no evaluation of quality and over-all price. It would have been good to cite examples of who uses each type so the reader could view the output of each, but that would take actual work. This is just a come-on to look at the ads. There are literally hundreds of examples as well as several different ways to get sources into a computer. From someone who does this for a living for churches, it would be impossible to give anyone any solid recommendation without having to know what their uses are for and then you have to know the following as well: operating system, rig schematics, technical level of livestreamer, audience size, budget and so forth. It’s alot to cover over one blog article. Livestream has attempted to do this but they only recommend high end sources which completely prices out any one NOT working in a semi professional environment. That is a problem with Livestream. They are great with selling their product but to get started or even to find out who is producing in your area; worthless. You would think with their model they would differentiate support for blogs from the amateur to the pro. My suggestion/complaint to the author was to at least cite some living examples of what some people are doing and what they are using. horrible you buy live stream broadcaster and unless you pay an absurd price you can not embed the video in facebook… and that is with the paid account but not the huge priced one I would understand the free act would keep you from embedding but at 45 a month you should be able to do something except on their limited system. Just to make it very clear here for people reading us – what live streaming software are you referring to? Who was the company selling it and what were the main reasons for your disappointment? the red live streaam broadcaser box. I will make sure never to recommend that one then 🙂 Thank you! – for $400 or more a month they will actually allow you to re embed the video else where… BLAGHH.. I opened an issue concerning the use of the PS3 camera. It does not work with the streaming flash media. any thoughts? It says it is being used by another program. By “PS3 Camera” do you mean a Playstation 3 camera? You will probably need a capture card for the console if that’s the case. Actually yes I do mean that and no need for a capture card the driver is available. however for some reason the flash media says it is being used by another program. yet outside of it – it works fine. Strange. Does Flash Media Live Encoder detect the Playstation 3 as a source?